Reforming our home can come in handy to renew energies, change the routine and undertake new life dynamics. We can change the distribution, the furniture or add new details. But what is clear is that one of the most important aspects at the moment of reforming our house is to choose the painting. In this article, we will discuss how to know what colors to use at home. Undoubtedly, painting our home generates a sense of absolute renewal, but we must be clear about the tones that most match the style and decoration of our house. In addition, each season there is a series of colors that are imposed on others, professionals and consumers choose certain colors that are fashionable and that must be taken into account. We give you some tips so you can discover how to choose the colors to paint your house and make your home look great. 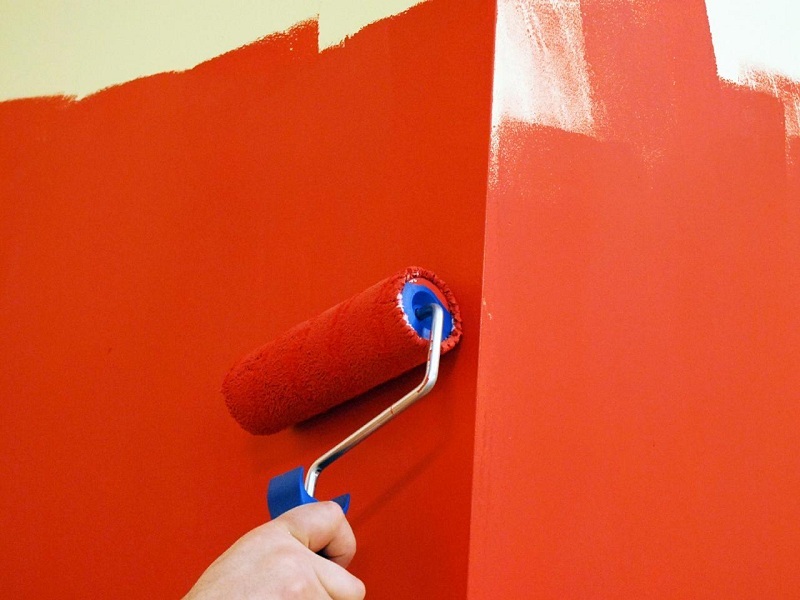 Before choosing the color to paint our house, we must take into account some details. The final result must be consistent with all the spaces and combine perfectly with the furniture and decorative style of your home but also the measurements of the spaces that we are going to paint are also key in the process. There is not a single option and not all colors are used for all spaces. You have to learn to assess the characteristics of each room, think about what you want it to convey and take into account the furniture and decoration that will accompany the painting. It is true that there are fashionable colors to paint a floor or the corridor walls, but if your furniture or decoration does not fit with them it will not be a good option. When it comes to renovating and painting our home, we should pay attention to some aspects of the psychology of color, especially when it comes to the choice of bedrooms. These concepts give us clear clues about the tones we can choose, helping us greatly to limit the search a bit. There are lighter colors, colder colors, colors that favor tranquility, colors that provide energy and colors that stimulate creativity. Depending on the use we are going to give a room we can choose one or the other, but we cannot paint indiscriminately without taking into account the psychology that accompanies each color. There is a wide range of cakes, bright, matt; etc…This can provide very varied results. They are tones that bring light and spaciousness to spaces, so they are often used in small rooms or with little natural lighting. White is another leader in terms of home paint colors. Generates light and spaciousness and is the ideal choice for those who focus the decoration of your home on the furniture and on the elements to adorn the walls such as photos, paintings, shelves, shelves, adhesive vinyl, etc. Like any option, painting your house in white has advantages and disadvantages. Among the cons of this election is the fact that it is very easy to get dirty and any damage is greatly enhanced. That is why, if you have children or pets it is better to choose another darker shade that can hide the grated and stains of the walls. Blues and greens are preferred for areas such as bedrooms due to their relaxing properties and their wide range of tones. Perfect for children’s rooms or for elderly people. The range of roses, besides being ideal for young girls, is great to calm the mood, so it comes very well in rooms where we want to rest. On the contrary, this type of color does not usually favor lighting, so it is preferable not to use it to paint kitchens or dining rooms, places where more luminosity and amplitude are needed. On the other hand, the reds can come very well in spaces where we want to capture some energy, such as the entrance of the house. It is not recommended for rooms or for the room because it can be too stimulating, being able to overwhelm. In the same way, blacks and grays adapt more to commercial spaces or offices than to the home. In spite of that, if you are able to combine them with white or gray furniture, managing to highlight the tones of each color, you can have a very modern and pleasant stay. In addition to choosing the colors to paint your house, it is important that you know what mistakes you should avoid achieving an optimal and gleaming result. For example, it is important that before painting, protect your furniture to prevent it from spoiling, it is also vital that you clean your walls well so that the color you use is seen in its entire splendor. If you want to show a faded finish that softens the final result and gives your home a modern and original touch, nothing like using some methods offered by the technique called rag rolling. Today we will see 2 different ways to get it, so you can choose between the finish that you like to make it yourself. For the first one, you will only need one color paint, a rag (or sponge) and turpentine. 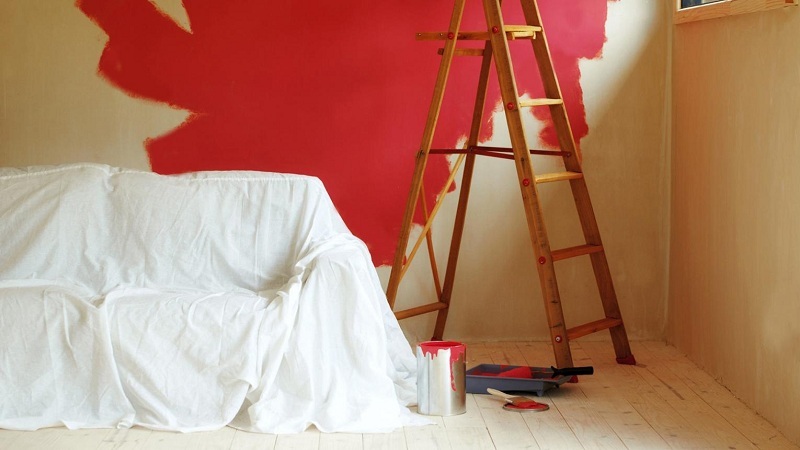 Paint the wall completely with the color you have chosen and then roll up the cloth and soak it in turpentine. Pass it all over the painted surface and you will see how areas with the appearance of wear begin to appear. Always use gloves to do it. The second way we will see today to create chromatic contrasts on the walls requires two-color paint, a roller, mixing tray, newspaper, and a plastic bag. It is preferable that the colors belong to the same range but have different shades. First, you have to paint the wall with the base color (which will be the one you want to predominate: the lightest or the darkest). Then the roller is wrapped in a plastic bag, the second paint is taken from the mixing tray and the excess is removed by passing it through the newspaper. Then you will begin to rotate the roller on the wall with uneven movements to create different shades between light and dark. Finally, a small note for those who are looking for a special decoration. There are rollers in relief that allow you to wear designs on your walls creating the same effect as wallpaper. A very clean and simple technique with which you will achieve a spectacular result. We hope these ideas will useful to you. We want your comments and suggestions to promote our ideas. Thank you and have a nice day!